Alcott Arts Center – Welcome to Wyandotte Daily! The Mid-Life Players, a local nonprofit musical theater group, will present a concertized performance of the Andrew Lloyd Webber favorite, “Cats,” this Friday and Saturday, April 25 and 26, and next weekend, May 2 and 3, at the Alcott Arts Center, 180 S. 18th St., in Kansas City, Kan.
Mid-Life Players was created by is a group of four friends, Ruth Baum Bigus, Catherine Boone, Curt Knupp and Dan Prather, all singers and actors who love to perform. This quartet enjoys the sheer joy of singing and entertaining an audience, so they decided it would be fun for others in “their age” group, too. The group provides an outlet for singers and actors age 35 and older. Mid-Life Players produces “concert style” musicals and musical reviews incorporating blind casting when appropriate or needed. Auditions are help prior to productions and a limited rehearsal schedule is held for each show. Productions use minimal costuming, make-up and sets – just enough to enhance the audience experience. Mid-Life Players is a 501(c) 3 not-for-profit organization. “As Mid-Life Players, we relish the opportunity to perform works that are not often done in the community and take on roles that we would not likely be selected for at this ‘stage’ of our lives,” Boone said. Mid-Life performers come from all walks of life. The current production of “Cats” is directed by Dan Prather and Curt Knupp with Julie Fox as assistant director and Becky Clark as music director. Past productions include “Into the Woods,” “Rent,” “Rocky Horror Picture Show” and “Company.” Mid-Life Players is guided by a board of directors and an advisory board that are dedicated to the mission of the group. For more information about Mid-Life Players visit https://www.facebook.com/midlifeplayers. Bill Bergman – as Skimbleshanks; Grandview, Mo. Chad Burris – as Mungojerrie; Independence, Mo. Curt Knupp – as Munkustrap; Kansas City, Mo. Dan Prather – as Rum Tum Tugger; Kansas City, Mo. Debra Skodack Burnes – as Cassandra; Westwood, Kan.
Dee Green – as Grizabella; Kansas City, Mo. Diana Leonard – as Jellylorum; Raytown, Mo. Dottie Bartlett – as Demeter; Overland Park, Kan.
Ed Leonard – as Gus; Raytown, Mo. Gary Barber – as Skimbleshanks; Edwardsville, Kan.
Georgia Schmittling – as Jemima; Raymore, Mo. Janet Shelman – as Jemima; Blue Springs, Mo. Joe Bartlett – as Bustopher Jones, Mistoffolees; Independence, Mo. John Vandevort – as Deuteronomy; Shawnee, Kan.
Joy Richardson –aas Bombalurina; Kansas City, Kan.
Julie Fox – as Bombalurina; Olathe, Kan.
Julie McDaniel – as Grizabella; Oak Grove, Mo. Kate Elcock – as Ecetera; Olathe, Kan.
Ken Kasten – as Gus; Overland Park, Kan.
Kristine Norvaishas – as Tantomile; Cleveland, Mo. Linda Wetzel – as Jennyanydots; Olathe, Kan.
Patty Moore Armstrong – as Jennyanydots; Lenexa, Kan.
Rebecca Shaw Stabno – as Rumpleteazer; Lee’s Summit, Mo. Richie Johnson – as Rum Tum Tugger; Kansas City, Mo. Robert Ritter – as Bustopher Jones, Mistoffolees; Liberty, Mo. Scott Powell – as Deuteronomy; Kansas City, Mo. Thomas Anderson – as Munkustrap. 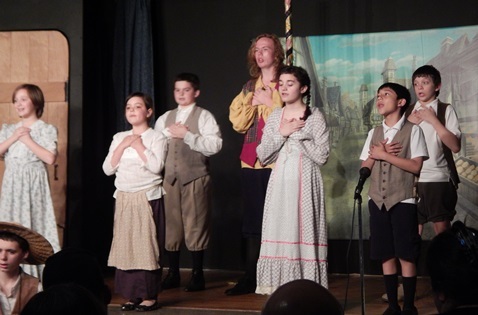 A musical production featuring many children, “Hansel and Gretel,” is being performed currently at the Alcott Arts Center, 180 S. 18th St., Kansas City, Kan. 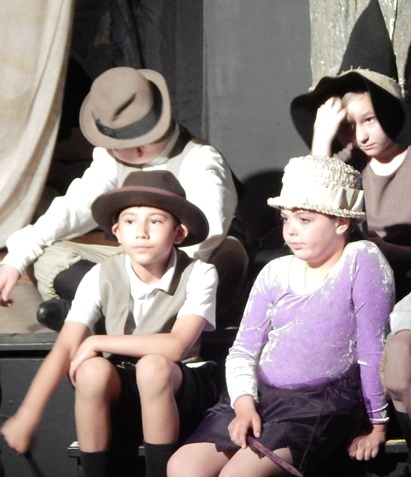 The musical play will take place at 7 p.m. Friday and Saturday at Alcott. The lyrics are by Malcolm Brown, script and score by David Barrett by arrangement with Yellowbrick Publications. Among the young actors appearing in the show are Hansel, Dakota Garrison; Gretel, Elise Allee; witch, Katia Marie Arians and Victoria Gerardy; father, Colin Arians; mother, Victoria Gerardy; Villager 1, Harley Carolus; Villager 2, Bailey Allee; villagers, all cast; the crow, Harley Carolus; animals, Alex Allee, Daniel Garcia III, Zoe Green Lockwood, Xavier Najera, Bailey Allee; the good elf, Alex Allee; elves, Harley Carolus, Daniel Garcia III, Zoe Green Lockwood, Xavier Najera, Bailey Allee. In conjunction with the performance, an art show featuring Kansas City, Kan., youth is being held at the Alcott. The young artists include Jordan (Jo) Thaxton, Jenny Sanchez and Melissa Crowe. The art exhibit opens at 6 p.m. Friday and Saturday. Admission to the play is $8 per person. The art exhibitions are free and open to the public. The Alcott is not yet ADA-accessible. For more information, visit www.alcottartscenter.org or call 913-233-2787.